Do you already pay for SKY TV in the UK? Why not bring your SKY CARD ON HOLIDAY? 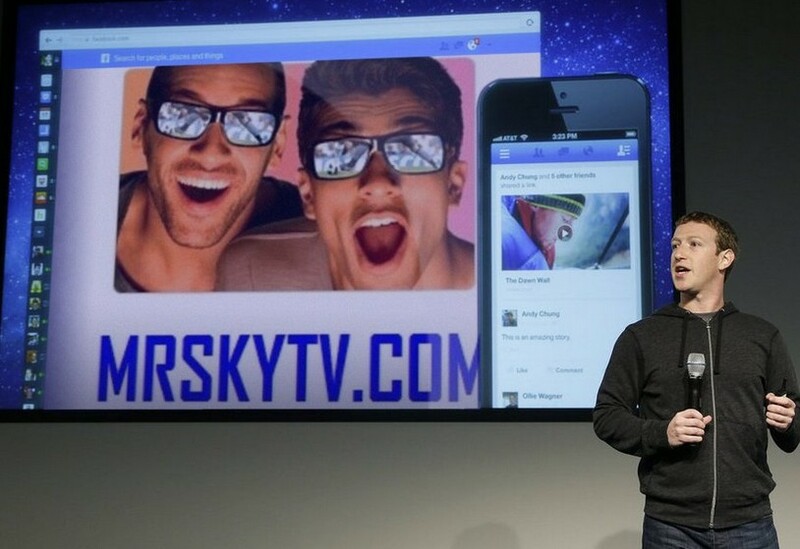 Do you already pay for SKY TV in the UK? Why not bring your SKY CARD ON HOLIDAY? No need to bring your HEAVY SKY+HD BOX We have the special boxes that lets your SKY CARD come on Holiday with you. Why leave your SKY card in the UK? You can watch SKY TV in Spain using your SKY Card in our special HD Box, this box also allows you to view media from an external hard drive up to 750GB and watch Movies that you have downloaded from the internet. Call +34 965 070 458 or 618 585 051 today. Before choosing a satellite engineer in Spain always ensure that they are a registered business in Spain, you can ask for the Company CIF number to check. You should always look for satellite tv installers in Spain that are SL registered. We accept payment in euro and UK British Pounds sterling and we accept all major credit cards except Amex. 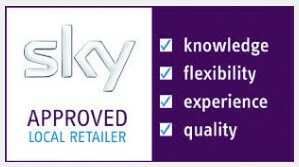 MRSKYTV.COM - SKY TV SPAIN - Installers of UK Satellite TV in Spain, based in Torrevieja we offer a complete solution including SKY TV in Spain and Freesat TV in Spain. 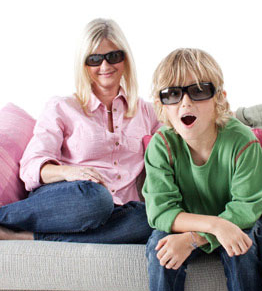 We are able to offer the latest high definition and 3D TV instalations. Why choose us? We are focused on what suits you and what suits your budget. We have been trading over 12 years, we are SL registered, we offer a no quibble 24 month warranty on all work and on all equipment supplied there are Manufacturers warranties. We are the preferred installers for several Royal Households, Footballers, TV personalities, Hollywood Actors, British blue-chip Companies such as Rolls Royce, Wimpy Homes and work with several Oil Companies and famous Hotels in Spain, we are also the officially approved installer for several large construction Companies in Spain.. We offer a complete service and offer FREE friendly advice so feel free to e-mail us what you are looking for & where you are located so that we can provide some choices. 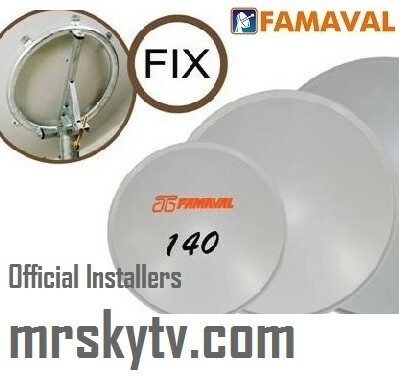 We are suppliers and installers of Famaval Portuguese satellite dishes in Spain, we are able to supply the correct sized satellite dish for your property in Spain and provide a satellite box such as the sky+hd box in Spain complete with UK or Irish SKY card. With many families owning a Holiday property in Spain, we supply a lot of satellite systems that provide FREE UK TV in Spain, this can be achieved using a FREESAT box that will allow access to UK TV in Spain for FREE. 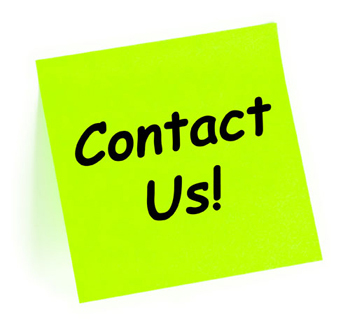 We are dedicated and committed to providing the best possible solution supplying the best quality equipment that is available. Whilst we are based in the Alicante region we do offer a National service either by mail order or by coming to your location to install. We have many very fussy and demanding clients that own very expensive properties in Spain so we are constantly finding ways to achieve ways to provide a bespoke service to each individual client depending on the budget, time frame and location. One thing that is GUARANTEED is that regardless of budget size each client receives a flawless service throughout the process. SKY TV & FREESAT TV IN Costa del Sol (Malaga) Spain Astra the Company that owns all the satellites & the BBC have both made statements regarding the satellite "changeover" that will take place in July that will leave some people unable to receive some channels as there dishes will no longer be big enough. Thankfully on the Costa Blanca a 1.4 / 1.45 or 1.9 dish will do the trick and you WILL NOT BE AFFECTED. There are many people that like to make out they know it all, they don't and until the changeover takes place NOBODY knows exactly what areas if any will be affected and need to invest in a bigger dish. The new satellite is already broadcasting some channels and these are being received on 1.4 meter upwards dishes from Murcia up to Valencia. We use the best satellite dishes on the market that are Manufactured in Portugal this brand is Famaval & they manufacture the best 1.4 - 1.9 and 2.4 satellite dishes. If you watch this video below you will see that MRSKYTV Engineers are featured in the video. Our new satellite receiver and IPTV box "ALL IN ONE"
We have been installing satellite systems in Spain for over 12 years. All of our Engineers are Ex UK SKY TV Engineers. Astra 1N was launched earlier this year, and is now broadcasting BBC1 - ITV - CH4 - BBC 2 - CH4 - ITV 2 - ITV 3 - BBC 3 - BBC 4 - BBC News etc all for FREE. 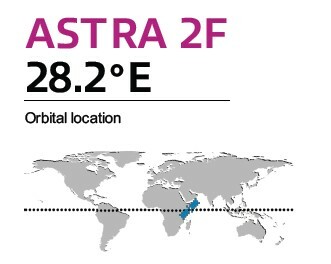 Because Astra 1N is a new satellite the signal strength is incredibly good in Spain and most channels can now be received on a 1M dish. Do not get your fingers burnt! We only supply the FAMAVAL range of 1M dishes that have a much higher gain that the standard 1M dishes that some Companies are supplying. New Famaval 1 metre Hi-Gain Dish Famaval the largest manufacturer of quality satellite dishes in Europe have just produced a new 1m Hi-Gain dish, this dish is only 13mm larger than most other manufacturers standard 1m dishes but the design engineers from Famaval have utilised more of the reflective area of the dish which vastly increases the overall gain giving a similar performance of a much bigger dish. We have been informed by installers and our satellite engineers that the standard 1m dish in certain areas is just below the signal threshold thus having signal problems with pictures breaking up on BBC, ITV and Channel 4. We have since tested the new Famaval 1m Hi-Gain dish with 100% success and you will now find that with this new dish there will be no picture break up whatsoever on any of these channels. It is important for our clients to be able to differentiate between the Hi-Gain 1m dish and a standard 1m dish so the manufacturers Famaval have had a small trade marked logo (FAMAVAL Hi-Gain) printed on all these new 1m dishes. Please note that even though these new dishes are considerably more expensive than the 1m standard dishes we will be supplying them to all our clients at the same price as our standard 1m dish. If you require any further information about what size satellite dish is suitable for your area feel free to contact us. If you are happy with BBC1 - ITV - BBC 2 - CH4 - CH5 etc you can receive all of these channels totally FREE OF CHARGE! 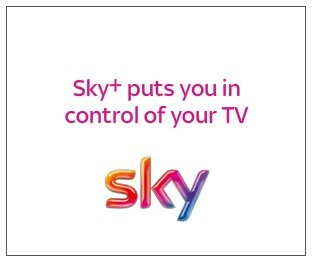 There is no monthly charges like SKY. All you need is a satellite dish and a suitable receiver, you can even opt for FREESAT HD so that you can receive BBCHD ITVHD CH4HD CH5HD for FREE. 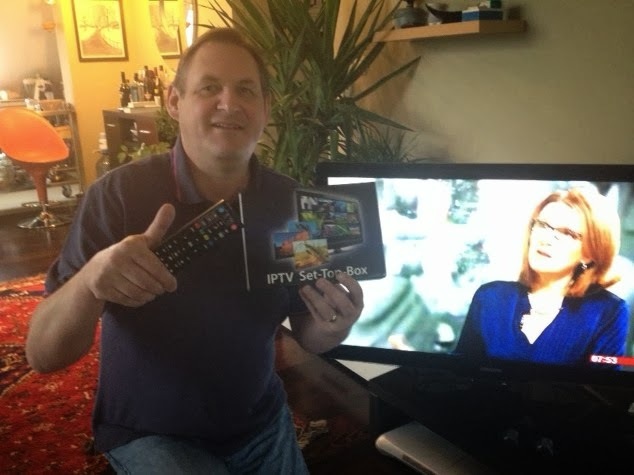 A GUIDE & NEWS ON SKY TV IN TORREVIEJA We can supply 1.4 dish + FREESAT HD BOX €495 the HD FREESAT Box we supply is the perfect easy to use satellite box for your property in Spain. This is an excellent service particularly for Holiday Homes in Spain where you want to minimize any bills. Based in Torrevieja Spain and offering a complete service including SKY TV & FREESAT TV we offer solutions for all types of property including apartments, villas, fincas and big apartment blocks in the Alicante and Murcia region, we already have thousands of happy customers. We have satellite systems to suit every budget, if you are looking for an economical system for your Holiday home in Spain we can provide a suitable solution from just €295. We also have some fantastic satellite receivers that will even unlock your UK SKY CARD so that when you arrive in Spain you can watch all of your SKY TV shows including SKY SPORTS in Spain at your Holiday home. We have just launched a new satellite receiver that also connects to the internet and provides the best possible quality picture in stunning 1080p "super High Definition" we only supply the best equipment and have been testing this peace of kit for some time with fantastic results. This particular box is the perfect solution should be worried or concerned about loosing your UK terrestrial channels on the Costa del Sol. MANY IMAGES ON THIS PAGE HAVE BEEN USED TO PROMOTE UK SKY TV - FAMAVAL SATELLITE DISHES - INVACOM LNB - FREESAT TV - INFOMIR MAG-250 and MAG-254 UK IPTV BOXES THESE IMAGES REMAIN THE PROPERTY OF THE APROPRIATE COMPANIES WE DO NOT OWN THESE IMAGES AND ARE USING THEM FOR PROMOTIONAL PURPOSES ONLY. 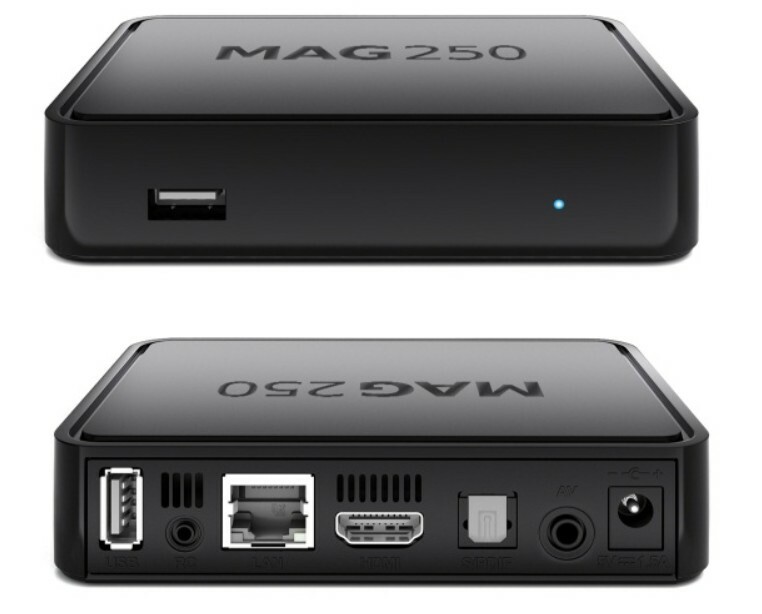 We do currently provide TV solutions via the internet using either UK IPTV boxes or Sling Media solutions with Sling Box and sling catcher and sling box Hosting services to provide UK Television across the Globe since 2008. We solve problems and will get you UK TV regardless of location. Have you got SKY TV in Spain? 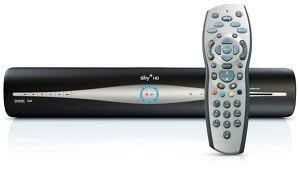 If you have a SKY+HD Box and it is not connected to the internet you are missing out on all of the SKY on demand services. If you are using a SKY+HD box is Spain you cannot just connect to the internet as the SKY compute will block the connection unless you use our special UK router that plugs in to your existing router and gives you a UK IP address so that you can connect your SKY+HD box to the internet. What does On Demand provide? Latest catch up TV - Have you missed the start a new TV show? Missed a TV show? Do you want to be able to download box sets? Now you can enjoy the catch up TV service from SKY UK. SKY UK offer so many more TV channels than any other satellite TV provider in Europe you can catch up on all of the best TV shows from BBC iPlayer and ITV on demand, CH4 4oD, Sky TV channels, including exclusive Sky HD SKY Atlantic, Nat Geographic documentaries and more. Catch up on the latest TV instead of your PC or laptop and start to enjoy great quality HD TV at no additional cost to your Sky TV. 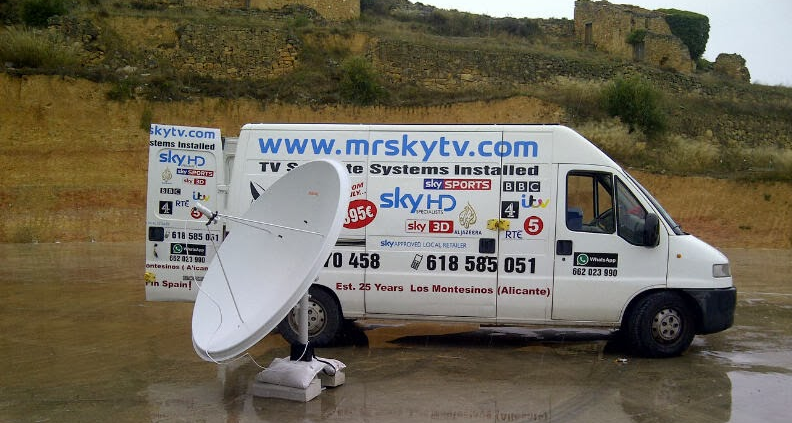 WE ARE INDEPENDENT SATELLITE INSTALLERS IN SPAIN, WE USE SEVERAL SUPPLIERS AND USE SEVERAL DIFFERENT PLATFORMS TO SUPPLY UK BRITISH TV TO OUR CLIENTS, WE SUPPLY SATELLITE DISHES AND CAN INSTALL HOME CINEMA SYSTEMS AND PROVIDE IPTV SOLUTIONS IN SPAIN. WE OFFER A WORLD WIDE MAIL ORDER SERVICE. WE ARE NOT AFFILIATED TO AND OR PART OF SKY TV UK (BSKYB) WE HAVE USED MANY SKY TV AND FREESAT TV IMAGES ON THIS WEBSITE PURELY TO ILLUSTRATE THE SERVICES AND SYSTEMS THAT WE ARE ABLE TO POROVIDE. MANY IMAGES ON THIS PAGE HAVE BEEN USED TO PROMOTE UK SKY TV - FAMAVAL SATELLITE DISHES - INVACOM LNB - FREESAT TV THESE IMAGES REMAIN THE PROPERTY OF THE APROPRIATE COMPANIES WE DO NOT OWN THESE IMAGES AND ARE USING THEM FOR PROMOTIONAL & OBVIOUSLY COMMERCIAL PURPOSES ONLY. WE DO NOT AGREE WITH RE-BROADCASTING OR CARD SHARING, WE DO SELL OR PROMOTE THESE SERVICES SO DO NOT ASK OR E-MAIL US IF THIS IS WHAT YOU ARE LOOKING FOR. WE ARE SUPPLIERS OF OFFICIAL EQUIPMENT AND ARE ABLE TO ARRANGE OFFICIAL SUBSCRIPTIONS. WE BELEIVE THAT SKY TV AND FREESAT TV ARE THE BEST OPTIONS IN SPAIN BOTH IN QUALITY BUT ALSO FOR THE VIEWERS EXPERIENCE ESPECIALLY IF YOU SPEND MORE THAN A MONTH AT A TIME IN SPAIN. 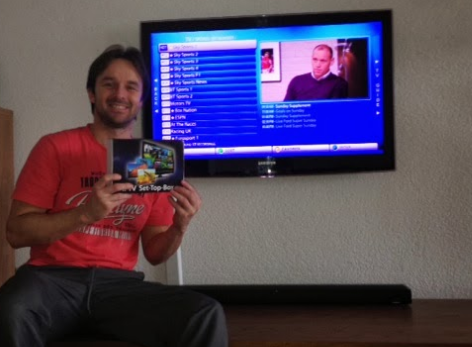 IF YOU SUBSCRIBE TO SKY TV IN THE UK AND WANT TO "BRING YOUR SKY CARD ON HOLIDAY" WE CAN ORGANISE A SPECIAL BOX THAT WILL UNLOCK YOUR CARD "PLEASE NOTE THAT DUE TO RECENT CHANGES SKY SPORTS & MOVIES WILL NOT UNLOCK DUE TO SOFTWARE UPDATES" WE ARE VERY SORRY TO CLIENTS THAT ALREADY HAVE THESE BOXES PLEASE WATCH OUR FACEBOOK PAGE FOR UPDATES ON THIS. WE ONLY INSTALL UK BRITISH TV ALTHOUGH WE DO SUPPLY MULTI LANGUAGE IPTV BOXES AND CAN ORGANISE ABHU DHABI SPORTS. IF YOU ARE A SATELLITE INSTALLER IN SPAIN PLEASE LEAVE US A MESSAGE OR PM US VIA FACEBBOOK OR E-MAIL AND SAY HELLO AS WE ARE CURRENTLY BUILDING A DIRECTORY OF INSTALLERS IN AREAS THAT WE ARE UNABLE TO COVER. Since all the BBC, ITV, Channel 4 and all Freesat TV channels moved to Astra 2E, thousands of British residents in Spain have been affected and have been left without BBC1, ITV, BBC2, CH4 and many other channels. We have been contacted by thousands of people that have lost many channels and are now looking to upgrade their satellite dish or are looking for a internet based solution such as IPTV or Sling-box streaming. Murcia, Alicante and most of Valencia are unaffected although some size dishes may require a slight adjustment. Internet based Television solutions provide the end user access to all UK TV using a internet connection. IPTV has really taken off in 2014 we have been amazed how many new businesses appeared almost overnight, many of these new IPTV operations are nothing more than a Facebook page and a mobile number so please be careful when being offered anything online, as we have already had complaints from people that have been unable to get any technical support once they had parted with the cash. IPTV and the use of a UK SKY TV account with a suitable box and a router are the only comfortable way to watch BBC1 and ITV on the Costa del Sol and the Barcelona area, our advice would be dependent on what your internet speed is like if you only want the basic channels such as BBC1, ITV, CH4 and some news channels or perhaps you want as many channels as you can get, whatever your requirements feel free to send us an e-mail so that we can assist you. With many different options available for accessing UK TV you can now decide on a satellite TV dish or a internet based IPTV solution that allows access to UK British Television anywhere on the planet. With the worlds internet super highways now allowing incredibly fast fibre optice super broadband and with many suppliers now being able to offer numerous channels and options to view UK TV on demand. Unlike some installers in Spain once the major changes have taken place with new transponders being added and many people being left with no UK TV we have been all over Spain testing reception and signals in most parts of Spain.